Like its predecessor, 12 Monkeys follows Cole, played this time by X-Men’s Aaron Stanford instead of Bruce Willis, who is sent back from the year 2043 where a vicious plague has decimated the human race. His job is to find the source of the disease and stop it, thus saving the human race. No pressure on that one or anything. Along the way he’ll team up with Dr. Cassandra Railly, played by Amanda Schull (this is a heavy-handed tweak on Madeleine Stowe’s Kathryn Railly from the first film—Cassandra is a mythological figure doomed to know the future) and a mental patient named Jennifer Goines (Emily Hampshire), taking over the Jeffrey Goines role from Brad Pitt. She’s the so-called unpredictable “wild card,” who may or may not be linked to a conspiracy to destroy the world with a deadly virus. You can see some of the changes the series is making to the source material, which is fine, each medium has different parameters and requirements, but there does appear to be one significant alteration. In the film, no matter how hard he tries, Cole can’t change the future and is trapped in an endless loop destined to repeat forever. That’s not the case here, it would be a short TV series if it was, so it will be interesting to see how this all shakes out. 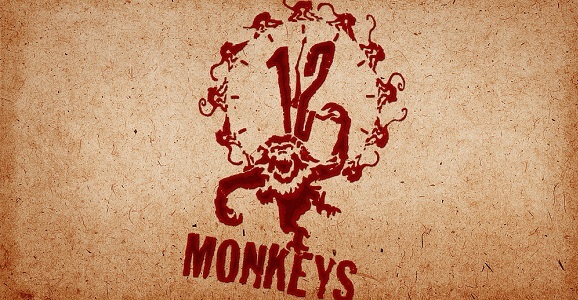 Those of you lucky enough to be at the New York Comic-Con this weekend may get an early peek at 12 Monkeys, as the series will have a panel there tomorrow, Saturday, October 11. The show also stars Kirk Acevedo, Noah Bean, Barbara Sukowa, Zeljko Ivanek, and Tom Noonan. You can bet those last two are going to be bad guys.